by Bill Dwight on Monday, December 14, 2009 at 11:31 AM | LEAVE A COMMENT! We continued working on subscription support last week and most of the stuff is pretty under-the-hood or still in the early design-phase. 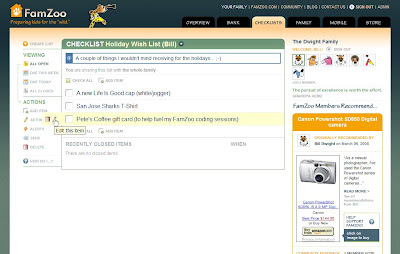 We posted step-by-step screen shots for creating a Wish list on FamZoo and sharing it with other family members. 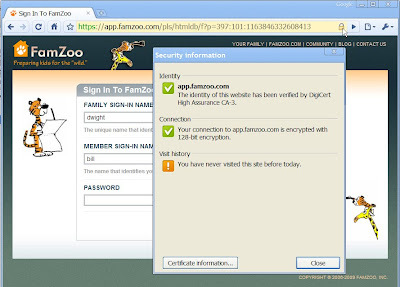 Works great for holidays and birthdays - check it out.